Pioneers in the industry, we offer epoxy coating, fire retardant structure steel coating, structure steel surface preparer chemical, acid fume resistant coating, silicone resin emulsion paint and acid fire resistance coating from India. We supply and trade premium quality Epoxy Coating. These coatings are extremely eco-friendly and are formulated in adherence to the industry laid norms at the vendors’ end. Due to our ultra-modern packaging unit, these coatings are offered in tamper-proof packaging. These coatings are offered by us at industry leading prices. India Most all Fire retardant products is tested and certified by centre & State most Competative Govt Law.Ameetuff St coat FIRE PROTECTION OF STRUCTURAL /sheet STEEL WORK Ameetuff St coat FIRE PROTECTION OF Structural/ sheet STEELWORK. Fire proofing with In tumescent Paint is the most modern & internationally accepted method for protection of Steel Structures, vessels against the damaging effect of fire. WHY FIRE PROOFING OF STEEL? Steel loses its structural strength upon heating. As soon as the Steel temperature approaches 550°C (900° F) it loses 65% of its yield strength and may lead to its collapse. In the event of fire winning time is crucial to evacuating people and limiting the amount of structural damage. 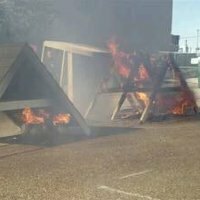 Thus it is necessary to protect Steel structures from fire. Studies in Europe and U.S.A over the last two decades have conclusively proven the fact that In tumescent Paints have definite advantages over the conventional methods of Steel Fire Proofing. The most important of all the considerations is a very high degree of corrosion resistance properties which, due to passage of time cause immense problems with Concrete/Cementations Coatings. In the event of fire, the in tumescent coating produces a residue which is puffed by escaping gases. It produces tough insulating foam which will protect material over which it is formed. Such type of coating is called an in tumescent coating. Ameetuff St is a smooth, thin, easy to apply coating, which replaces the traditional labour intensive cladding and encasement method. Ameetuff St is an Intumescent (it swells when heated) Ameetuff St that protects structural steel work from fire. The ability of Ameetuff St to retard the rate of heat transfer results from the chemical characteristics of its constitue Ameetuff St. At a temperature of more than 250° C. They undergo a series of reactions that create an expanded low density foam structure, with excellent heat insulating properties. This low conductivity carbon char forms a barrier between the fire and steel surface, which substantially decreases the temperature rise of the metal, effectively protecting it during the severest of fire. Ameetuff Silicone Paint can be used to produce water repelling, highly water vapor diffusion-open, protective coatings on building . Silicone Resin Emulsion Paint is especially used on , a difficult coating substrate, in heritage preservation areas.Ameetuff Silicone Resin Paint can also be used as a restoration coating on load-bearing silicate, silicone and matt, weathered dispersion coatings, synthetic resin renders and functioning, bonded heat insulation systems. 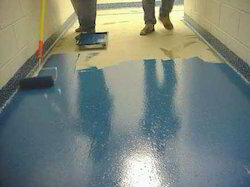 Quality proven acid resistant epoxy coating is provided by us at cost-effective price range. 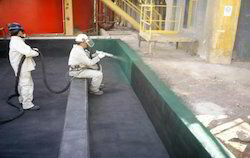 The acid resistant epoxy coating we offer is highly used in penstocks sewage, pipelines, and water treatment plants. Our range lasts long and offer excellent resistance against UV rays. Looking for Special Coating Application ?